The DigiLit Leicester team are currently running a series of briefings for school leaders. The briefings are designed to ensure school leaders are aware of and up to date with current, effective approaches to using technology to support learning, teaching and school community development. Our third briefing was held in May at The City of Leicester College. Denise Sweeney, an Educational Designer from The University of Leicester, led the session which provided an introduction to flipped learning approaches, benefits and practicalities for schools. ‘Flipped Classroom’ is an overarching term for a range of teaching approaches where students gain exposure to new material outside of classes (typically through video) and then use class time to assimilate, discuss or apply that knowledge (through problem-solving, discussion and debates). Homework – The flipped classroom model relies on student completion of homework prior to the lesson. How can you prepare for students who have not completed this work? How can you ensure that the homework you create is accessible for all students? Homework Quality – No student will find an overly long and detailed video engaging. How much of the subject do you need to cover to prepare students for the lesson? Can the topic be broken down into bitesize chunks? Production Quality – We would all love to be able to produce videos of a quality to make James Cameron jealous – but in reality do we need to? If the video gets across the key learning messages does it need to be HD quality? Maybe for some topic areas the quality of the video is important, but there will be times when quick and dirty works perfectly well. Mark Ostler’s Flipped Classroom Innovation Project – through an individual award Mark, faculty lead for humanities at St Paul’s Catholic School, undertook a short-term project investigating the use of flipped classroom approaches. Judgemeadow Community College’s Science Department YouTube Channel – The science department have been sharing videos with learners, for them to access outside of classroom. These videos cover experiments, calculations and handy tunes for remembering important scientific facts and information. The school also uses a twitter account @JudgemeadowSci to distribute useful snippets of information to learners. 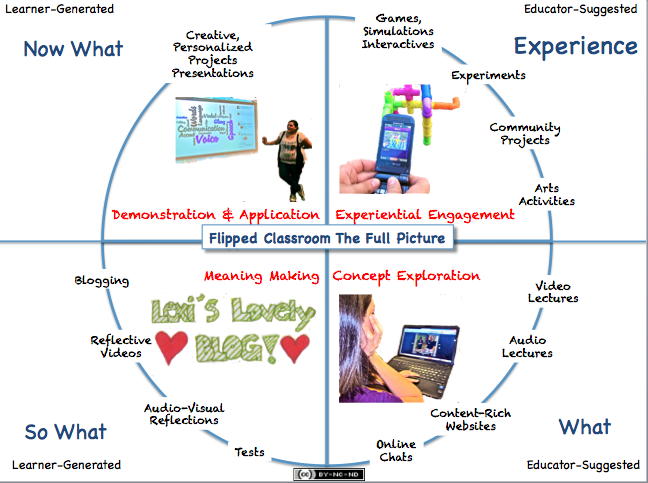 This entry was posted in CPD & Innovation, Space & Place and tagged digilitleic, flipped classroom. Bookmark the permalink.